We went almost two decades without a Bad Boys movie, and now all of the sudden the franchise is back with a vengeance. Will Smith and Martin Lawrence are reunited for Bad Boys for Life, which could extend to a fourth movie. And on the small screen, Gabrielle Union reprises her role as Bad Boys II's popular Sydney Barrett in L.A.'s Finest, a spinoff that finds her co-starring with Jessica Alba. L.A.'s Finest takes Syd from Miami to the west coast, where she joins the LAPD in hopes of leaving her complicated past behind. Alba plays Syd's partner, Nancy McKenna, a single mother with a troubled history of her own. Also reprising his Bad Boys II role is John Salley as geeky computer hacker Fletcher. Ernie Hudson, Zach Gilford, Duane Martin, and Jake Busey will also take on supporting roles. 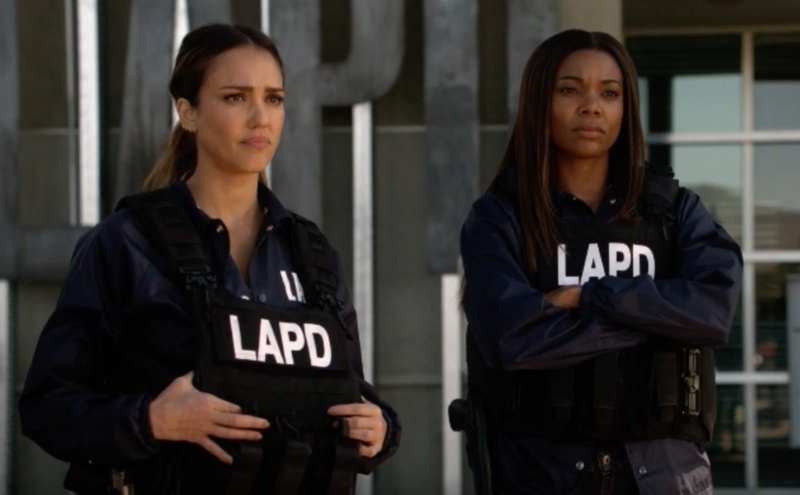 Here's the synopsis: The one-hour series follows Syd Burnett (Gabrielle Union), last seen in Miami taking down a drug cartel, who has seemingly left her complicated past behind to become an LAPD detective. Paired with a new partner, Nancy McKenna (Jessica Alba), a working mom with an equally complex history, Syd is forced to confront how her unapologetic lifestyle may be masking a greater personal secret. Taking on the most dangerous criminals in Los Angeles while skirting the rules, and speed limits, Syd and Nancy become a force to be reckoned with – on the streets, and in each other’s lives. The 13-episode original series will be Spectrum's first, with 3 episodes debuting on May 13th.